LELET NY's romantic hair accessories have been spotted on so many celebrities, including Diane Kruger, Olivia Palermo and Cara Delevingne. 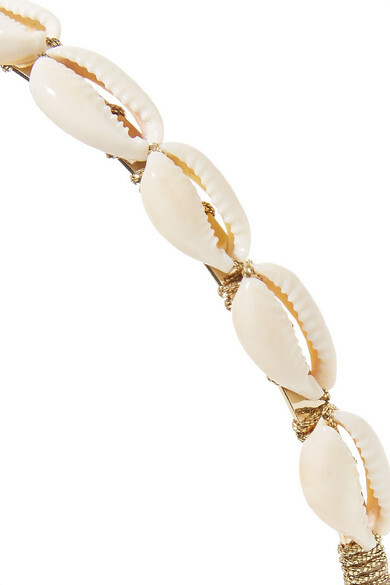 A lovely choice for warm weather events, this headband is made from gold-plated brass and adorned with glossy faux cowrie shells. Tuck it into beachy waves. 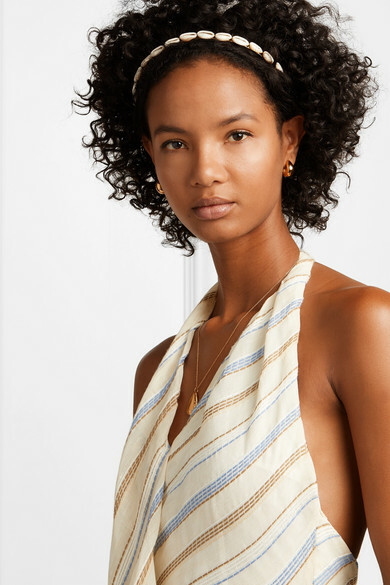 Shown here with: Jacquemus Dress, Alighieri Necklace, Sophie Buhai Earrings.